SUPER Wesenstest für Tebro und Calypso heute!!! 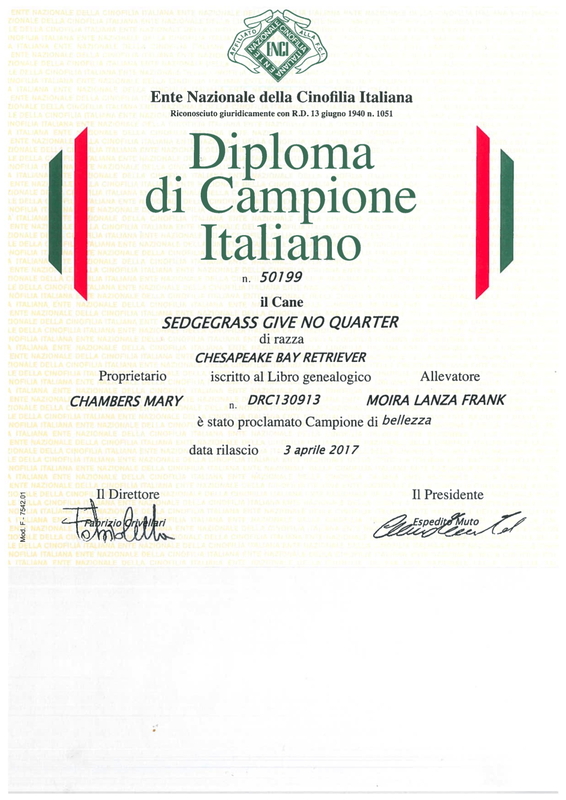 SedgeGrass In Medio Stat Virtus WD and SedgeGrass Give No Quarter passed the character test with big compliments of the judge. 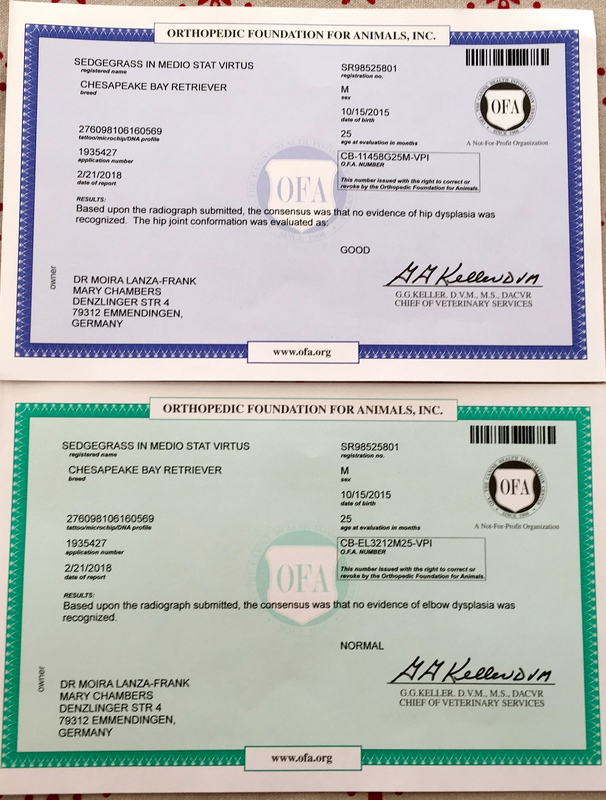 Im flattered that my work as breeder was much appreciated from a very competent judge. I ever thought character is the most important feature in a Chesapeake. Tebros OFA Report is here !!! Im really pleased about this results!!! 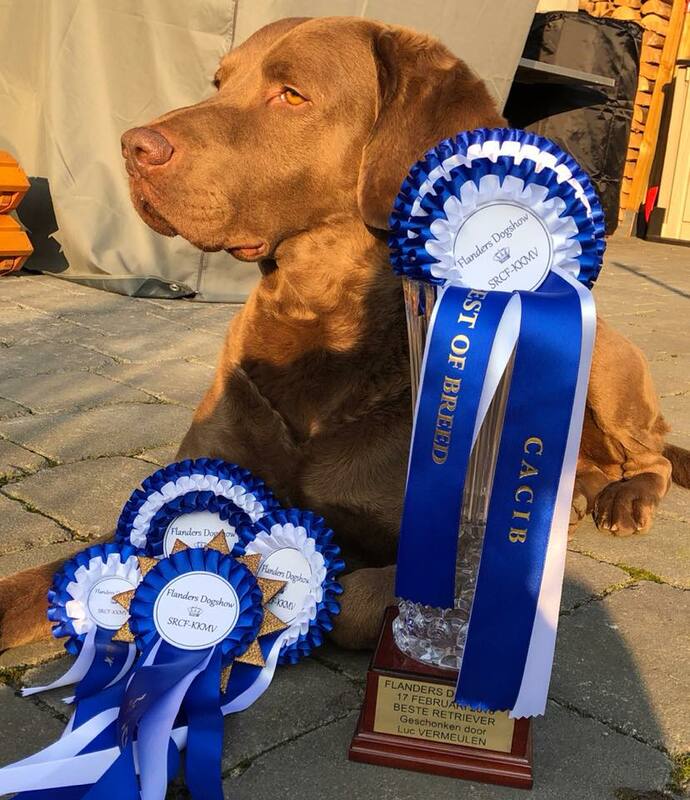 Two days Flanders Dog Show : Double CACIB, Double BOB, Double Best Working Dog for DT CH SEDGEGRASS HIGH NOON, WD WDX , aka Moe We was especially happy about the 3 rd Place in Group 8 !!! In addition Moe was prized as BEST RETRIEVER on saturday !!! 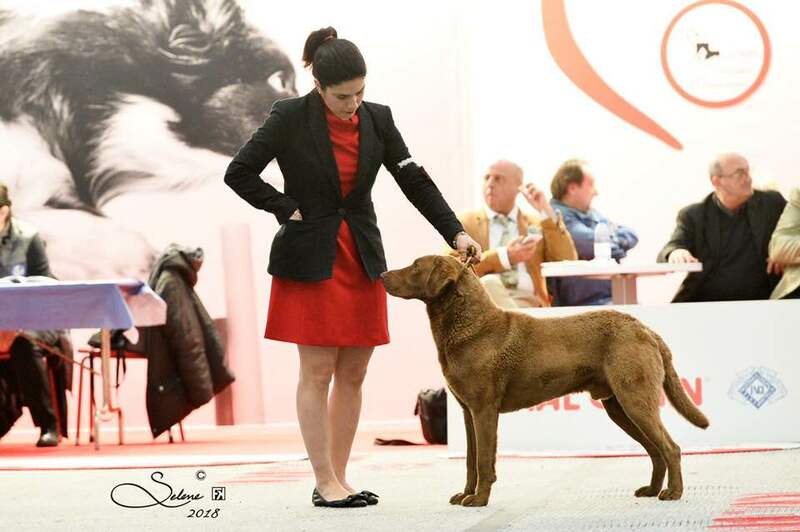 Big congratulations to his owner, Gabi Beuke, that starting with no experience shes doing an exceptional job with Moe! Way to go Gabi & Moe !!! 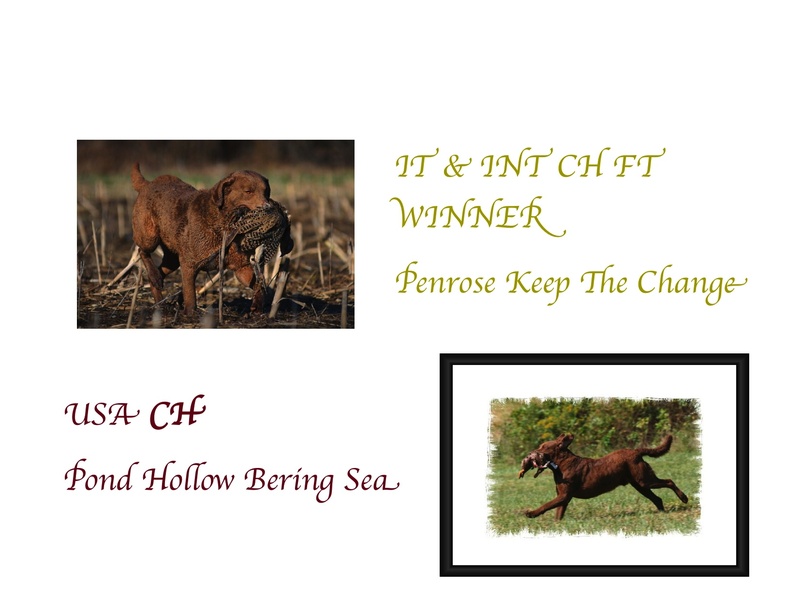 MULTI CH SedgeGrass Give No Quarter WD add the IT CH title to her portfolio!!! Big congratulations to Mary Chambers who brought Calypso to the top ! ...und jetzt ist es soweit: nach eine sehr lange Wartezeit wurde Fifty läufig geworden und sie wurde am 1 Februar von Beri belegt. Nächste Meldung bei dem ersten Ultraschall. Bis dahin Daumen drücken!!! ... and now its done: after a long waiting time came Fifty finally into the saison! She was bred to Bery February 1st! Next report at the first ultrasound. Until then, keep your fingers crossed!! !